You know how some writers say that they never wanted to do anything but write, that they always had a pencil in their hands from their earliest years, and so it was inevitable they would grow up to become writers? Don’t get me wrong, I always loved to imagine and create new worlds, and I loved to write – but it didn’t occur to me until much, much later that those things made me a writer. Back in the days before the internet (yes, I am that old! ), my cousin and I would write actual letters to one another. Only our letters were not simple missives, oh no – we did a lot of what I now know is called world-building. That’s because, even though we were best friends, we only really got to spend one week a year together, when she would come with my family to Ocean City, MD for a week each summer. And every year, we would create a new pretend game, with new characters. One year we were international beauty pageant contestants. Another year she was the princess of a small European country and I was her lady-in-waiting. (That one actually inspired a novel – maybe that’ll get published someday!) And in the seemingly interminable months from September to July, we would write to one another, letters upon letters: letters from each of us to the other, but also letters from our characters to each other. And we’d include supporting documents too: menus from banquets our characters attended, application forms they had filled out, catalog pages showing clothes they would wear…you get the idea. But like I said, I didn’t realize until much, much later that there was a real-world application for those games. In the meantime, I had what I think of as my “choose-your-own-adventure” career. I got my Master’s degree in Library Science and went to work as a public children’s librarian, a job that I loved. While there, I met a Deaf kindergarten teacher who inspired me to start taking American Sign Language (ASL) classes. I enjoyed those so much I decided to pursue a degree in ASL Interpreting, and went to work as a school librarian at the Maryland School for the Deaf. I loved that job too. During my summers off, I began performing at public libraries, offering interactive storytelling programs that teach basic American Sign Language. Guess what? I also loved doing that (and still do!). Around that time I also published my first resource book for librarians, Try Your Hand at This! : Easy Ways to Incorporate Sign Language into Your Programs. When I finished my degree, I made the switch to full-time freelance interpreter, storyteller, and writer, but I still work behind the reference desk at a public library occasionally. I published several storytime resource books as well. And all the time, in the midst of all the other jobs I loved doing, I was writing novels. Sword and Verse was actually the fifth full-length manuscript I completed, and the first draft of it was done in 2004. So, as you can see, it’s been a long haul. In the midst of my weird Venn-diagram career, I am happy to finally be able to devote a larger circle to writing! But enough about me! Go read my books. They are much more interesting. Kathy MacMillan is a writer, national certified American Sign Language interpreter, librarian, and signing storyteller. She writes picture books (the Little Hands Signing series, Familius Press), children’s nonfiction (She Spoke: 14 Women Who Raised Their Voices and Changed the World, Familius Press), and young adult fantasy. Her debut young adult novel, Sword and Verse, was a finalist for 2017 Compton Crook Award, and its sequel, Dagger and Coin, was published in October 2018. She is also the author of eight resource books for educators, librarians, and parents, including Little Hands and Big Hands: Children and Adults Signing Together (Huron Street Press, 2013). 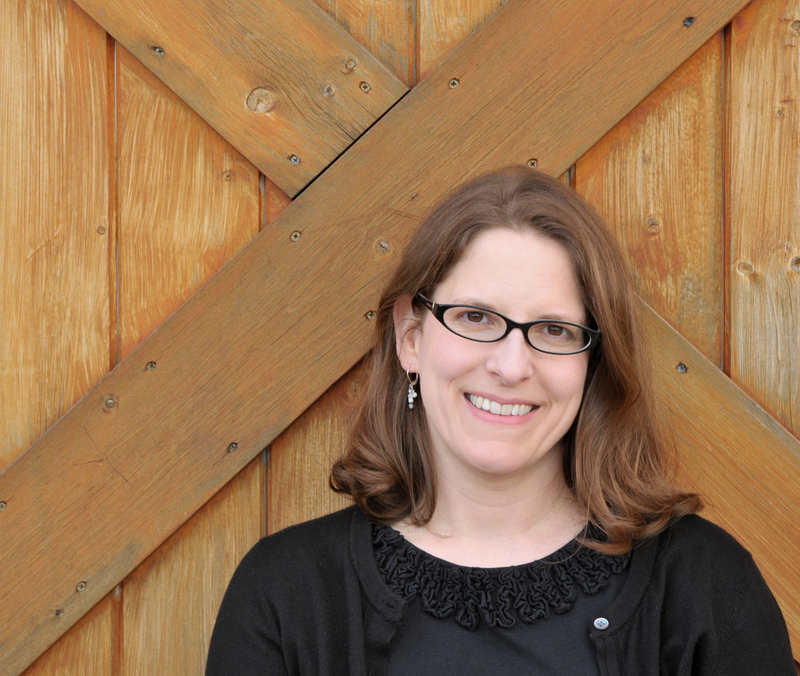 Kathy is the founder of The Sweet Sixteens debut group of 2016 middle grade and young adult authors, and serves as the co-Regional Advisor for the Maryland/Delaware/West Virginia Region of the Society for Children’s Book Writers and Illustrators. Her diverse career includes working as a children’s librarian at public libraries, working a school librarian at the Maryland School for the Deaf, leading the Eldersburg Library Bookcart Drill Team, and performing as Scooby-Doo, Velma, and a host of other characters at a theme park. Kathy presents American Sign Language storytelling programs through her business, Stories By Hand, and also runs the storytime resource website Storytime Stuff. She is a board member of Deaf Camps, Inc., a nonprofit organization that provides camps for deaf children. Kathy holds a Master of Library Science from the University of Maryland, a Bachelor of English from the Catholic University of America, and a Certificate of American Sign Language Interpreting from the Community College of Baltimore County. She lives near Baltimore, MD. Kathy MacMillan is a writer, American Sign Language interpreter, librarian, signing storyteller, and avowed Hufflepuff. She writes picture books (the Little Hands Signing series, Familius Press), children’s nonfiction (She Spoke: 14 Women Who Raised Their Voices and Changed the World, Familius Press), and young adult fantasy. Her debut young adult novel, Sword and Verse (2016) was a finalist for the Compton Crook Award, and its companion novel, Dagger and Coin (2018) has been called a “complex feminist fantasy” by author Heidi Heilig. She has also published 8 resource books for educators, librarians, and parents, including Little Hands and Big Hands: Children and Adults Signing Together (Huron Street Press). Kathy serves as the co-Regional Advisor for the Maryland/Delaware/West Virginia Region of the Society for Children’s Book Writers and Illustrators. She lives near Baltimore, MD. Find her online at www.kathymacmillan.com or on Twitter at @kathys_quill. Kathy MacMillan is a writer, American Sign Language interpreter, librarian, signing storyteller, and avowed Hufflepuff. She writes picture books (the Little Hands Signing series, Familius Press), children’s nonfiction (She Spoke: 14 Women Who Raised Their Voices and Changed the World, Familius Press), and young adult fantasy (Sword and Verse and Dagger and Coin, both HarperTeen). She has also published many resource books for educators, librarians, and parents. Kathy serves as the co-Regional Advisor for the Maryland/Delaware/West Virginia Region of the Society for Children’s Book Writers and Illustrators. She lives near Baltimore, MD. Find her online at www.kathymacmillan.com. Kathy MacMillan is a writer, American Sign Language interpreter, librarian, signing storyteller, and avowed Hufflepuff. She writes picture books, children’s nonfiction, young adult fantasy, and resource books for librarians, educators, and parents. Find her online at www.kathymacmillan.com.